Earlier this week, file-sharing related news was dominated by a set of stats compiled by Musicmetric. The company said that in the first six months of 2012 it monitored 405 million music releases downloaded using BitTorrent. But while huge piracy levels are regularly touted by recording labels, completely legal BitTorrent downloads are growing at an impressive rate. In the first half of the year at least 124 million licensed and legal downloads were enabled by BitTorrent Inc.
On Monday, Musicmetric – a data and analytics company that maps the trends and preferences of music fans around the world – published its first Digital Music Index. Musicmetric revealed that their BitTorrent monitoring, which spanned the first of half of 2012, covered a total 750,000 recording artists. During that six month period they logged a total of 405 million music release downloads. Now, as regular readers will note, every week and in annual roundups TorrentFreak produces two charts (three if we include our games chart), one for the world’s most downloaded movies and the other for TV shows. They rarely, if ever, contain authorized material. But interestingly, Musicmetric’s analysis shows that in music things are quite different. Not only did legal music make an appearance, but in 5 of the top 20 downloading countries worldwide, dubstep artist Bill Van topped the charts after signing a licensing deal with BitTorrent Inc., the company behind uTorrent. “[Legal content] has become hugely popular in place of other illegal content in a quarter of the top 20 countries for downloads,” Musicmetric explained. And today, BitTorrent Inc. points TorrentFreak towards what the company describes as a “fun infographic”, but one with a very serious point. While Musicmetric might have logged 405 million downloads in total, BitTorrent Inc. can claim credit for a significant proportion of them through its licensing work. During the first half of 2012 BitTorrent Inc’s artist promotions delivered 124,191,863 licensed, legal music downloads. A massive number, which shows that BitTorrent is much more than a tool for pirates. “What this statistic shows very clearly is there’s a lot of good, legitimate content in the BitTorrent ecosystem that is adding value to the careers of the artists and publishers who decided to release their work using the protocol,” BitTorrent Inc’s Matt Mason told TorrentFreak. According to Mason the artist promotions BitTorrent ran have been a great success, and not just because of the impressive download statistic. 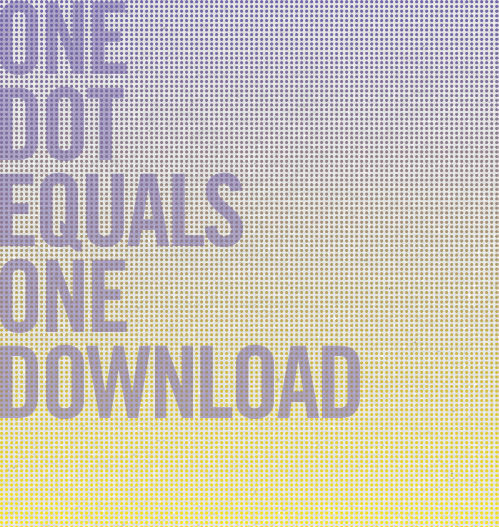 Artists are eager to work with BitTorrent and see value in sharing their work for free. In the coming months and years BitTorrent Inc. therefore plans to continue and improve their collaboration with artists. “BitTorrent is quite simply the best way to move large files across the Internet. More and more, the creative industries are coming to understand BitTorrent, and are using it to get their work directly to their fans in ways that makes sense for everyone,” Mason told TorrentFreak. The 124 million plus downloads is a huge figure and difficult to visualize, so BitTorrent Inc. has chosen to show what 689,955 looks like, the number of licensed music downloads the company facilitates in a single day using uTorrent. Have fun scrolling, then multiply the time it took by 180 to get an idea of 6 months worth of downloads. c There are 103 comments. Add yours?